This initiative is the brainchild of <https://www.allianceforkids.com/>, a US based charity set up in order to support the equivalent of Child Play Specialists in the States. Anything that we can do which distracts and entertains children whilst in hospital care contributes to reducing their stress levels and therefore their perception of pain or discomfort. We are piloting Super Hero Kits into The John Radcliffe Children’s Hospital, Oxford and University of Leicester Hospital. The purpose of these kits is to reward younger children who are undergoing intravenous treatment. 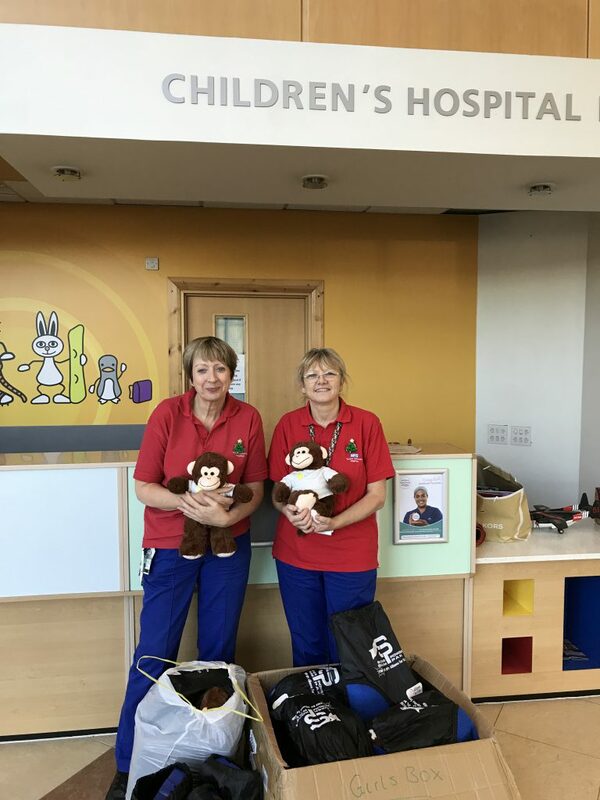 They receive a cuddly toy monkey, wearing a Thinking of Oscar T-shirt, as a gift as well as a birth certificate for their new soft friend. Their kit also contains a shield which covers the medication which hereon in is referred to as their super serum, a Super Hero cape, comic and a collection of bravery bands which they accumulate as they undertake various procedures. These will all be in place before Christmas 2017.